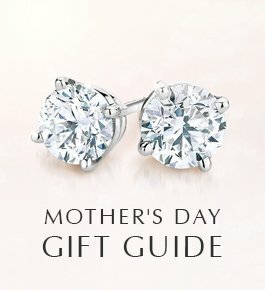 Looking for a unique pink engagement ring? 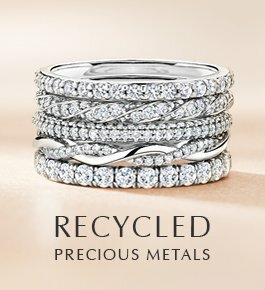 Learn about the different options available to you, from our rose gold ring settings to our ethically sourced pink diamonds and sapphires. There are many reasons to be drawn to this blush-hued metal. Its pinkish undertones flatter almost any shade of skin, and it mixes flawlessly with other metal types. Rose gold has the unique ability to be at once modern and vintage in feel. The lustrous alloy of gold and copper makes for a distinctive choice when it comes to diamond engagement ring settings. 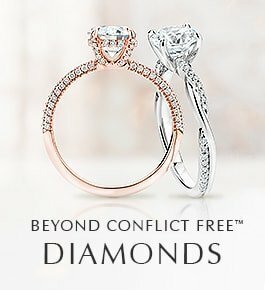 Whether in classic solitaire designs, vintage-inspired rings, or eye-catching halo settings, rose gold diamond rings stand out from the rest. Morganites are treasured for their alluring clarity and high degree of brilliance, as well as their beautiful warm coloring. Exquisite shades of pink, blush, and peach found in morganites are made even more striking when paired with a delicate rose gold setting. Morganite is a semiprecious gemstone with a warm pink hue and sparkling clarity, and when set in rose gold it creates a breathtaking effect. The two naturally complement each other, with their captivating blush tones and enchanting shine, making rose gold morganite engagement rings a popular choice. 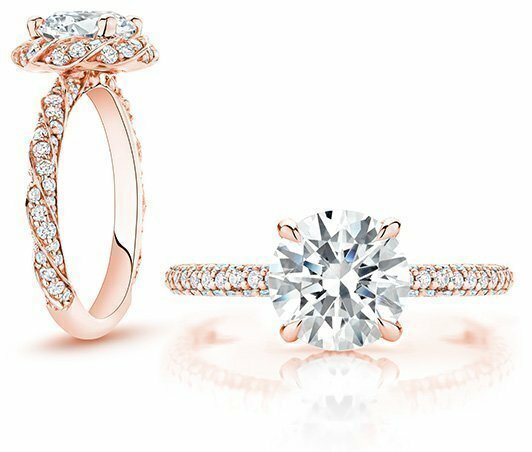 Rose gold halo engagement ring settings add dazzling accent diamonds to create a bit of contrast, while solitaire styles have a gorgeous all-rose look that draws attention to the morganite gem. Many people associate the term “sapphire” with the traditional deep blue colored gemstone, but sapphires actually come in many colors—including all shades of pink. Pink sapphires come in a range of romantic hues, and make for lovely and feminine engagement rings. These one-of-a-kind gemstones look remarkable in a variety of settings. If you are looking for a unique engagement ring, for instance, a pink sapphire in a halo setting is a great choice. 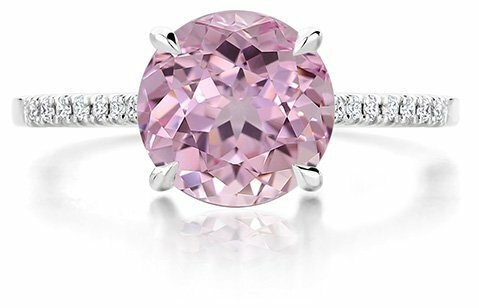 The combination of a rich pink center gemstone surrounded by bright, glittering diamonds is truly stunning. To show off a pink sapphire on its own, a classic setting is the way to go. Simple bezel-set or prong-set solitaires bring the focus straight to the vibrant color. 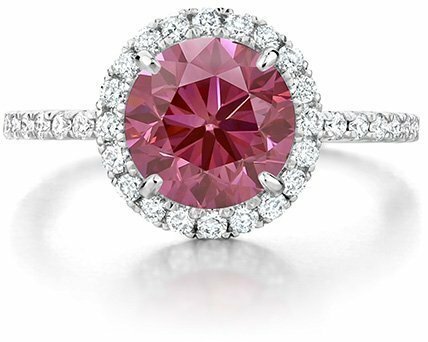 Plain metal bands made of platinum, white gold, or yellow gold are a perfect backdrop for any pink sapphire. Pink diamonds are a type of fancy colored diamond. 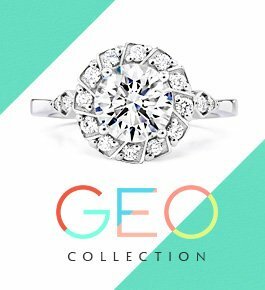 Colored diamonds are an excellent choice for an engagement ring, as they are as hard and durable as colorless diamonds while offering an eye-catching pop of color. Our selection of natural, ethically sourced colored diamonds includes pink diamonds in a range of stunning hues and intensities, from faint to deep. 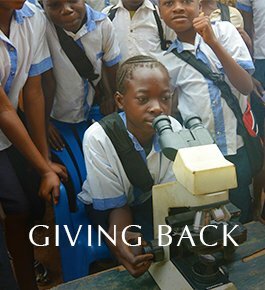 Both our natural and lab created pink diamonds showcase unique beauty and color. Lab created diamonds offer the high quality and brilliance of natural diamonds and require no mining, making them a beautiful and responsible option for a pink diamond ring. 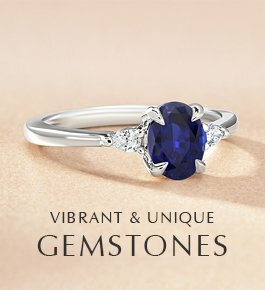 Our Create Your Own Gemstone Ring process features over a hundred ring settings and thousands of colored gemstones to choose from.